Bloomington, Ind. 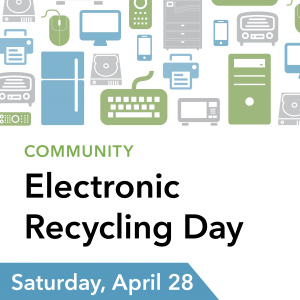 – Cook Group will host a community recycling event for electronic waste on Saturday, April28, to observe Earth Month. Cook is partnering with RecycleForce because both organizations believe in breaking down the barriers to employment that hold people back. RecycleForce is an organization that helps formerly incarcerated individuals rebuild their lives through workforce training, development, and job placement in their recycling facility. When: Saturday, April 28, 2018 from 9 a.m. – 2 p.m.
Where: 301 N. Curry Pike, Bloomington, IN. The event will be held in the main parking lot at Cook’s newest facility. What: Household electronics such as TVs, computers, refrigerators, flash drives, and other appliances. View a complete list of items that can be recycled. State law requires the safe disposal of e-waste because these products contain hazardous elements that can cause damage to our natural environment and public health. For more information about the event, visit bitly.com/CookRecycles2018.